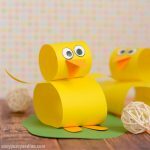 This Easter chick paper craft is a wonderful project idea for kindergarten (or even older preschoolers) as a bunch of these will make an impressive Easter display. 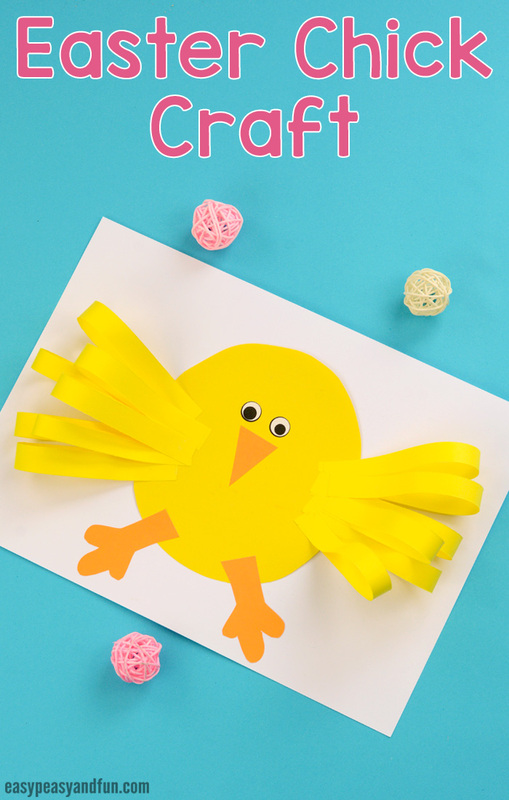 We’re already getting ready for Easter this year, and we have prepared all kinds of simple and fun Easter craft ideas for kids to make both at home or in the classroom. 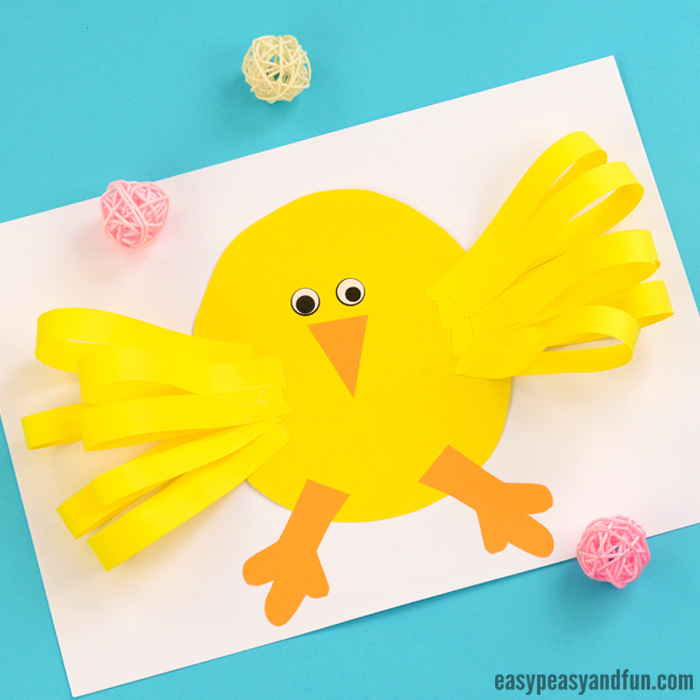 This adorable little chicken is an easy Easy art and craft idea that is suitable for kids in kindergarten and older, if you simplify it a bit or help with a few steps, it will be a good project for older kids in preschool too. 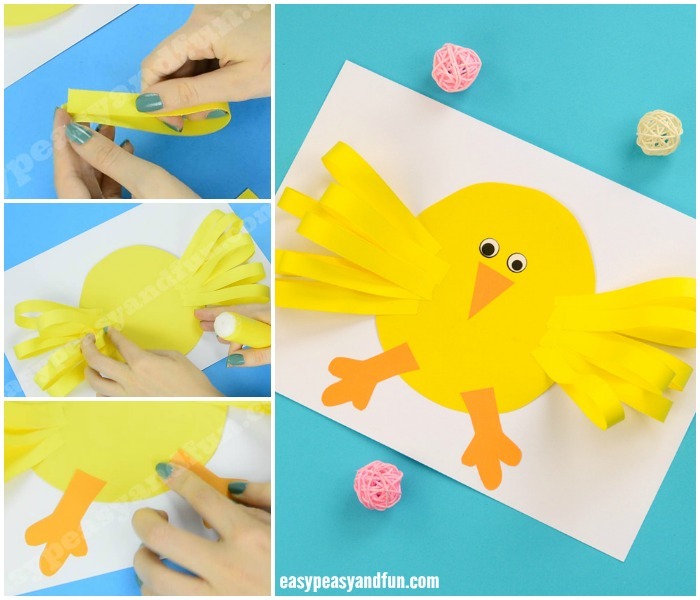 You could make the paper strips wider and feet less detailed for those who are just building up their scissor skills. Ready to make your chick? 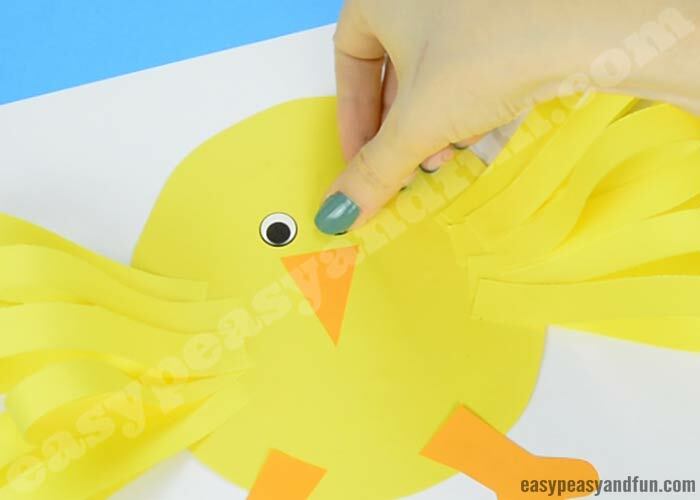 You can also cut the grass out of green paper and stick it under the chick too. Cut the paper strips. We cut ours across the width of a regular sheet of paper (letter size / A4) as a length and they were about a “finger” wide. Cut a decent number, we think we used about 8 for each wing. 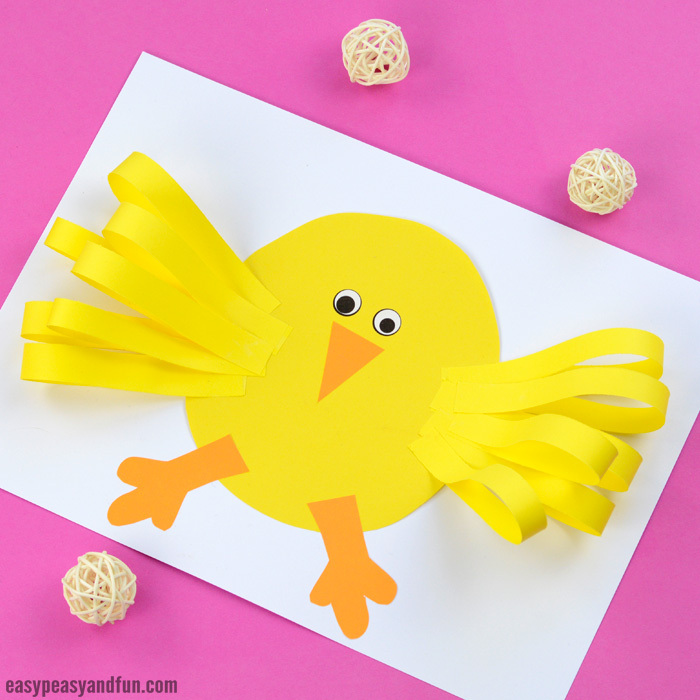 Cut a circle shape out of yellow paper. This will be the body of your little chick. Glue this circle onto the sheet of white (or whichever color you choose) paper. 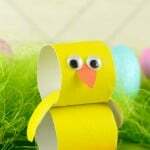 Take the paper strips and make little paper loops – glue the ends of the paper strip together. 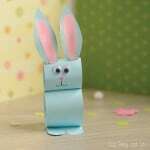 Make the loops from all of your paper strips. Let the glue dry. And stick it onto your Easter canvas :). Position it either on the left or the right side of your chick’s body. Glue all the paper strips, forming the wings (a candy shaped creation). 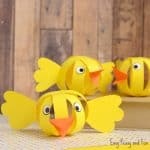 You can even layer the paper strips to give your chick craft even more volume. 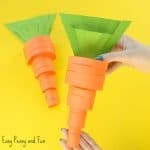 Cut the legs out of orange paper. Glue the legs on the body of the chick. Also cut the beak and glue it onto the chick. Add a set of eyes.